I feel so blessed to have the opportunity to be inducted into the prestigious group. I was in awe and humbled to accept the award. 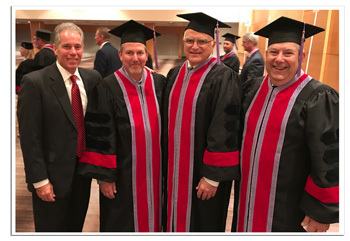 It was especially meaningful, because the induction was in Georgia, where my love and passion for dentistry really came full circle. 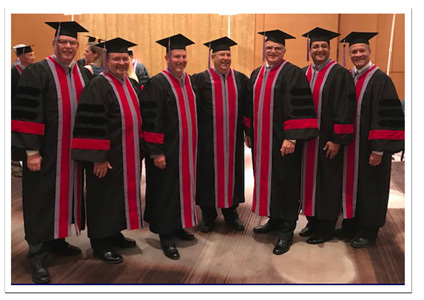 Being surrounded by my Georgia family and some fellow residents of the Medical College of GA GPR made the induction really special. Thanks to Dr. Jane Martone and Dr. Mike Pruett for the nomination. It was quite an honor to be inducted into the ICD. I am so grateful for Drs. Fanno and Paumier for supporting me to be inducted. 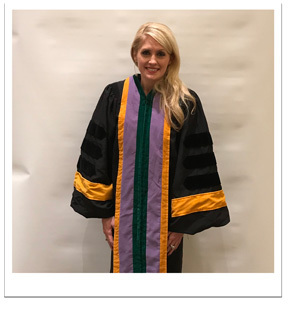 I am very humbled to be recognized by fellow dentists. I also wanted to thank my family for supporting me to achieve the goals in my professional life. 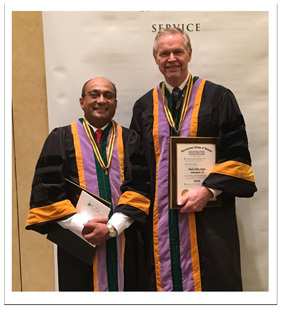 My sincere thanks also goes to SCDS fellow dentists for giving me an opportunity to serve in 2016 as their president. My memory was when my name was called and I was walking across the stage, 36 years of practice flashed through my mind. My memories of my first patient, my first challenge, my first office, my best times and worst times all were flashed before my eyes. Sharing the event was also special having my wife, Claudia, and my friends Drs. and Mrs. Mike and Cindy Winick, Steve and Colleen Parker and Kevin Huff being inducted also as Fellows!